It has been about 3 weeks, I think, since my last post. And its been about 2 months since my family bought Book & Bean. In these two months I have been stretched in ways I never thought possible. As I grumbled about washing dishes and doing laundry, I would read this verse and work harder and harder. I contemplated getting a job outside the home, and even talked to someone about hiring me as a Pilates instructor. But then JoKars Wild bought a bookstore/coffee shop. While the work is far from over, I have learned so much in the last two months. First, I need to stop being the martyr and let go. It doesn’t all have to be done by me, it doesn’t have to all be perfect. I have struggled with this for years…and still do. Second, we need to support one another…the working mom and the stay-at-home mom. It is not easy to have to depend on others to take care of your kids. While the kids are with us at the store all day, I can’t go and take care of their every need. No actually, I am greatly dependent on Kira and Grandpa in helping with Nehemiah. And sometimes some “customers”, who have become friends, have lent a helping hand as well. Which leads me to another realization, in order for us to get through these tough times, we need to come together as a community to help one another. Buying local, selling local, encouraging one another, laughing, jamming, reading, and hanging out. Over the past two months, I have been privileged to assist in stopping a house from burning down, a friend from committing suicide, raise money for an orphanage in Tanzania, hug a friend in need, give guidance to a struggling homeschooler, and support local musicians, artists, and authors. I hope over the next few months God would bless me to help employ the unemployed, give more financially to our current and future authors, artists, and musicians, to aid in restoring broken marriages, and bring people to Christ. I hope our store becomes a place where people can come and share with one another, where youth can come and feel safe and loved, where people will be inspired by one another, and where everyone feels the love of Christ. 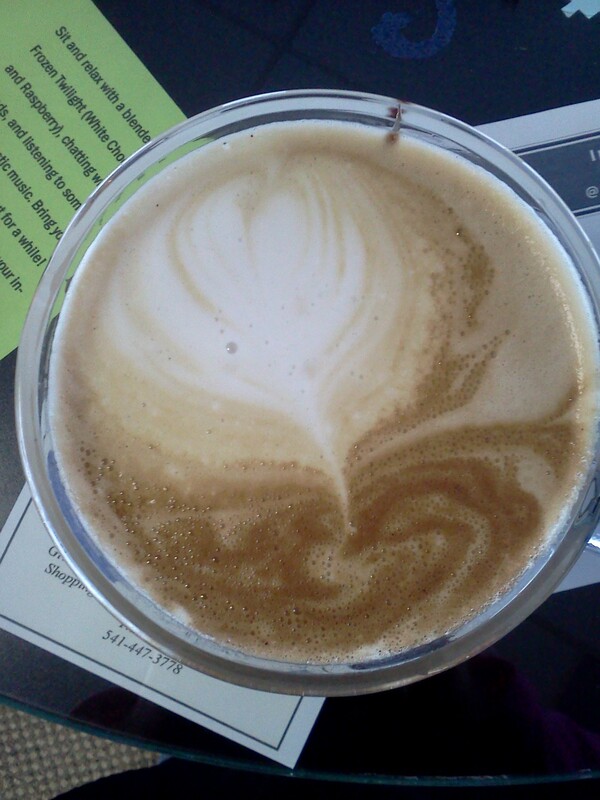 I have been working hard on mastering creating a heart on every latte I make. Most of the time the receiver never sees it as I usually put a lid on their cup. But this heart reminds me that everyone that comes into our store is loved by God. When I remember, I say a silent prayer. Life is hard right now, not only for me, but everyone. It is so much easier knowing that we are not alone in our struggles.